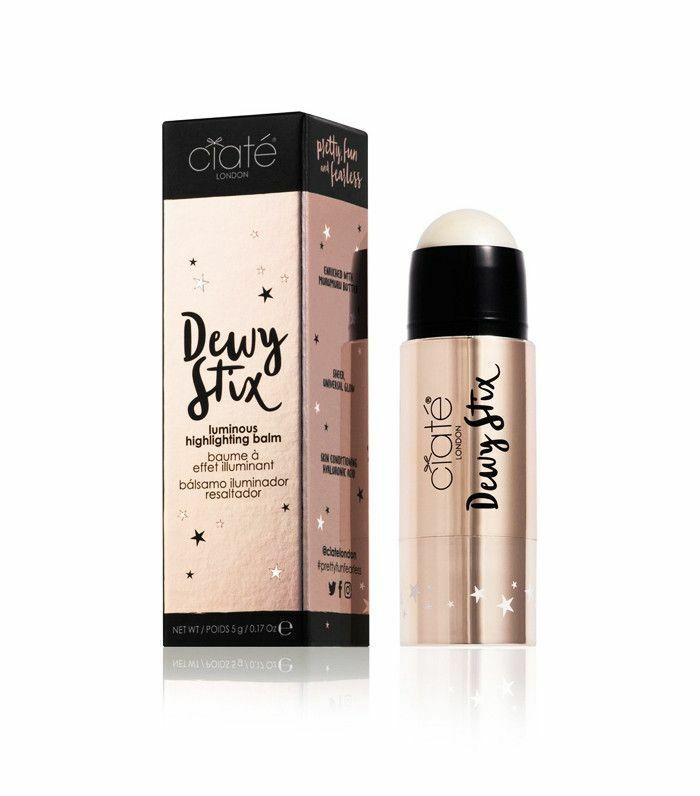 We don't like to get ahead of ourselves but the Ciaté London Dewy Stix is quite honestly our favourite piece of makeup to launch in 2017… so far. A bold claim, sure, but it definitely warrants such praise. While you could dismiss this as any other highlighter, do not be fooled: This is a totally new take on highlighter. It gives you dewy, not highlighted, skin instantly without leaving a trace of glitter or even a pinky sheen. It gives your skin a seriously covetable glow, almost as if you were born with a complexion that good. How does it work? Keep scrolling to read our full review of the product and why you need it immediately. We've made no secret of the fact that we love a highlighter (or five) but Ciaté just totally changed the game with this one. Instead of that classic pink or silvery look, this is a clear highlighter. You still apply the product as you would normally (cheekbones, inner corners of your eyes, etc. ), but instead of it looking like you're obviously wearing highlighter, Ciaté has managed to create a product that only shines in the light. This gives you a much more natural glow. Plus, there's no masking your skin underneath, so this just gives you a shine when you need it. But the most fantastic part of this product is that it genuinely suits all skin tones (see picture below for proof). So, how and when should you use it? Whether it's because you feel like your skin needs a quick pick-me-up for post-work drinks or you're feeling a little worse for wear after a night out, there are myriad reasons to use this beauty product. However, we're particularly partial to putting this on over a tan when we're on holiday (real or fake), and just let our glowing skin speak for itself. Next up! Revealed: these are the best foundations ever that will always leave you with flawless skin.